As we all know by now, stress is the inevitable consequence of fast-paced work environments. While we need peace of mind and equilibrium to function well, it’s the competitive spirit that gets the job done. Given that stress is unavoidable in our day-to-day life, how do we avoid a toxic lifestyle? This was the central theme of the closing lecture in ASCOF for Kids and The Parenting Emporium’s (TPE) series of classes that sought to spark people’s awareness on natural alternatives for health remedies and on the total wellness of moms and their families. The previous three classes dwelled on “How to Jumpstart a Healthier Lifestyle,” “Dealing with Common Concerns the Natural Way,” and “Helping the Body Heal” (Your Road to Holistic Wellness). ASCOF is the country’s no. 1 natural cough remedy, while TPE, located in New Manila, is a store and social enterprise that provides a venue for learning and support in creating communities that foster better parenting. The cap-off event, held at the TPE last July 31, was highlighted by an enlightening discussion led by life coach and makeup artist Ning Tadena, who underscored the importance of changing one’s overall perspective and boosting one’s positive energy in order to avoid stress. In her talk titled “How to Release Toxic Stress,” Tadena explained how stress is a cause of many illnesses and misunderstandings. “Even your relationships suffer when you live in a toxic environment,” she said. “But in everything that we do, we have two ways to look at it—it can either stress us or stretch us. She also identified what she considers the three most toxic emotions—resentment, rejection, and regret. Then she countered these with the three “most nourishing” ones—forgiveness, acceptance, and gratitude. Tadena believes that we can live stress-free and healthier lives by nourishing our mind, body, and heart and getting rid of the toxins in them. Known for its natural and organic properties, ASCOF for Kids is made from 100 percent organically grown Lagundi leaves, and undergoes a stringent manufacturing process. 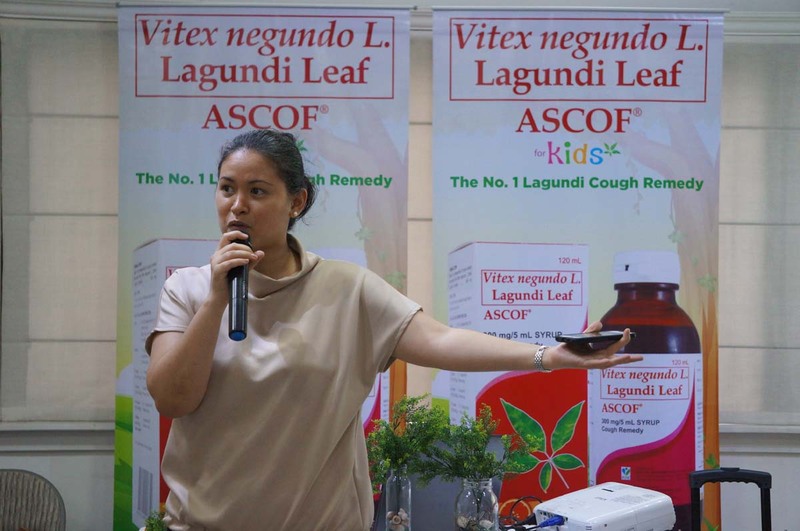 Being the very first natural cough remedy launched in the market 22 years ago, ASCOF Lagundi is considered the pioneer in advocating for alternative medicines for consumers. “ASCOF and TPE will continue to enlist the help of influential mothers in communicating the importance of natural and organic products, especially for children. We will persist in spreading the word within the mommy circle and then pass it on to other groups, as well. For her part, TPE founder Maricel Cua said the fruitful collaboration with ASCOF was aligned with TPE’s main objective of supporting the parenting community and providing a platform, through a series of relevant classes, where they can learn more about raising their children better. “One of TPE’s goals is to provide an avenue where we can recommend tried and tested brands to our parenting community, and one of these brands is ASCOF. Their products and values are aligned with ours because they offer natural solutions,” Cua said. 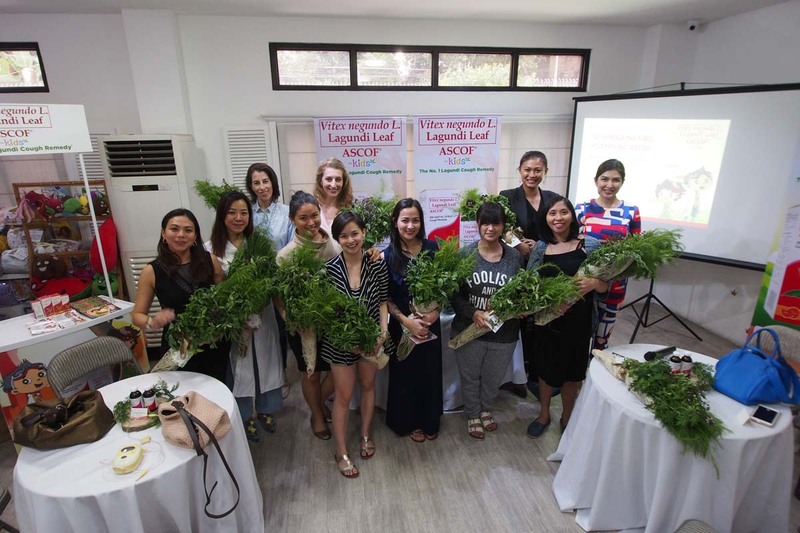 Among the influential moms who attended the cap-off event were Tina Rodriguez, Riki Flo Reyes, Sheila De Asis, Gabrielle Janvier, Irina Otmakhova, Mafae Belasco, Jopay Zamora, Liz Aliwalas, Jane Cheng, and Jaya Crisostomo. 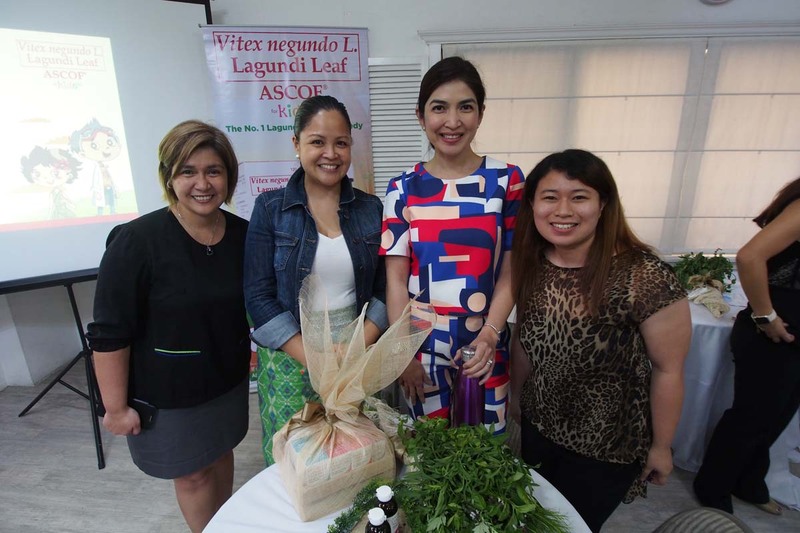 They all received gift baskets containing natural oils and herb bouquets harvested from LAC Farms in Nueva Ecija, PascualLab’s organic farm.